Welcome to The Simmons Law Firm. 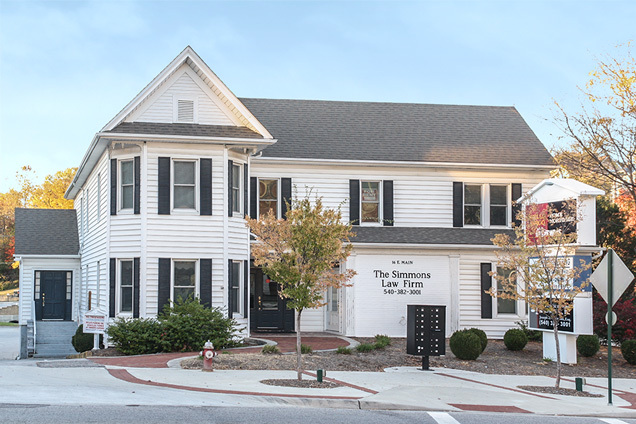 Founded in 2010 by Joseph Z. Simmons, The Simmons Law Firm offers a comprehensive range of legal services designed to overcome the challenges faced in an ever-changing legal environment. On the side of this page, you will find our practice areas. If you have any questions about information on this page, please don’t hesitate to call and we will provide assistance in whatever way possible. The Simmons Law Firm understands that the decision to hire an attorney is a difficult decision to make, and we want to help you make an informed decision so that your rights will be protected. Many client-attorney relationships are formed at times of crisis or during intensive litigation. As a result, the decision of which attorney to hire is not only the first decision, but also among the most important decisions the client will make throughout the entire client-attorney relationship. The Simmons Law Firm knows that a litigant needs effective legal counsel who is willing to be a fighting and tireless advocate for their client's interests. That is why it is the mission of The Simmons Law Firm to provide the highest quality of service to our clients. Choosing an attorney requires a great deal of trust, and at The Simmons Law Firm, we respect that trust by achieving results. The general information contained on this website is intended to be informative, but is not a substitute for legal advice. Viewing this website or communicating with us through electronic mail does not establish an attorney-client relationship.